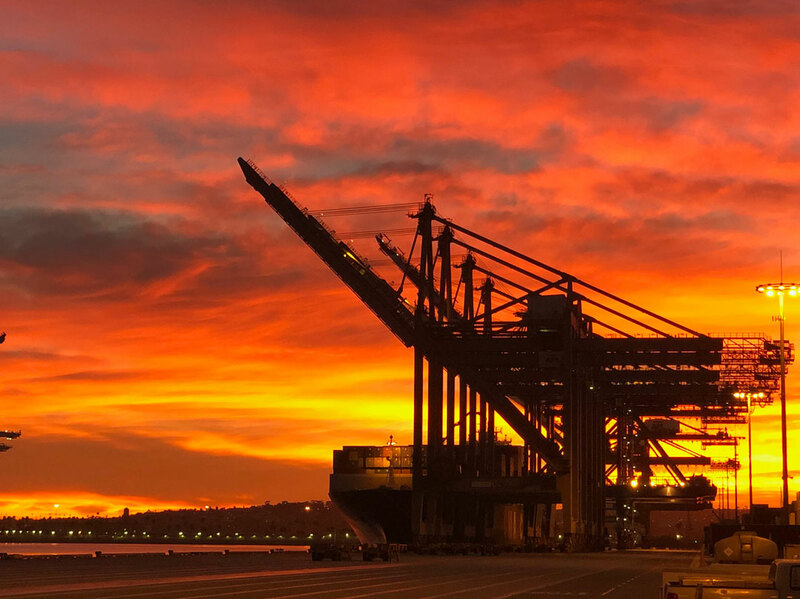 Fenix operates one of the largest container terminals in the Port of Los Angeles, in a prime location adjacent to the deep-sea channel and the ship-turning basin. 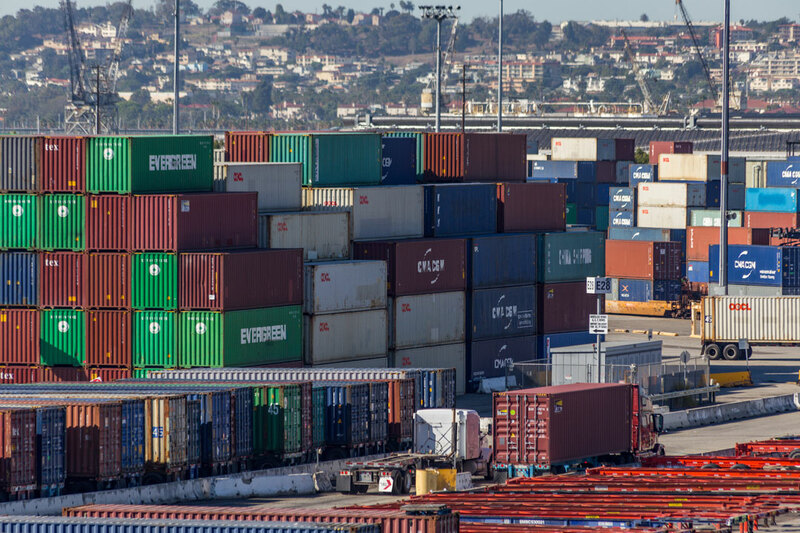 With four berths (1,000 feet each) a minimum of 50’ deep, 16 container cranes, ample rail and truck capacity, advanced information systems, a skilled workforce, and a commitment to continuous innovation, we’re on the leading edge of terminal performance today and tomorrow, at the heart of the busiest container port in the Western Hemisphere. Our Mission is to rapidly deploy value creation strategies that drive growth, while never compromising on safety. We will transcend conventional global port and logistics industry thinking to deliver best-in-market value to our customers and investors, while protecting our community, environment, and workers. We focus on operational performance by developing the best procedures, making best use of appropriate technology, retaining the most capable workforce, and making timely capital investments. We plan strategically to create long-term growth by continuous innovation. We maintain a constant focus on safety, because safety has purpose—it is critical to our success. We fix problems as they arise. Evaluate, decide, act, move on, all with fairness and good communication. On the ground, our stevedoring team is second to none, and they are backed by an ownership and management team with global experience in developing efficient terminal operations. 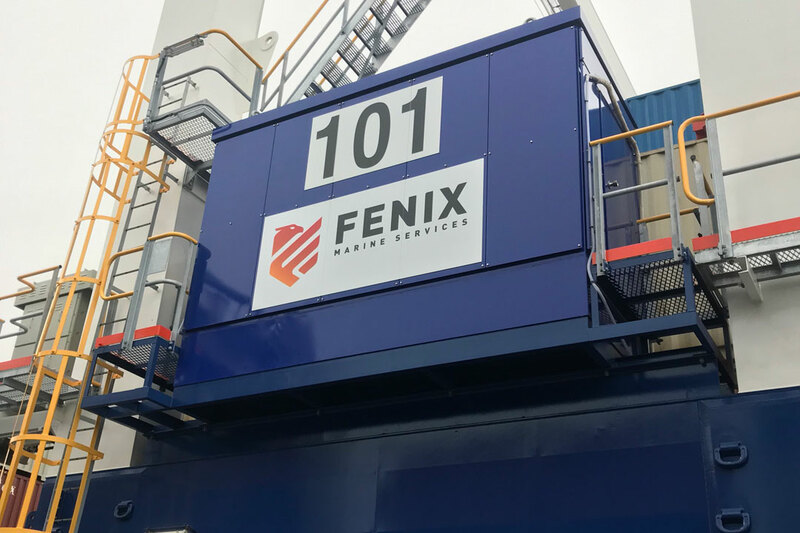 Innovations in information systems provide the best opportunities to further improve the handling of cargo across terminals as large and active as Fenix. Our continuing innovations accelerate flow, and give you better real-time information about the progress of your shipment. We are a service business. We understand the value of time, the value of accuracy, the value of security, and we are committed to giving you service at the highest level. This terminal began operation in 1997 as Eagle Marine Services (a subsidiary of American President Lines) which operated the terminal from 1997 until November 2017. During that time, Eagle was responsible for several innovations in terminal operations that were adopted industry-wide. EQT acquired the terminal from APL’s parent company, CMA CGM in 2017 (CMA CGM retains a 10% stake), and changed the name to Fenix Marine Services. 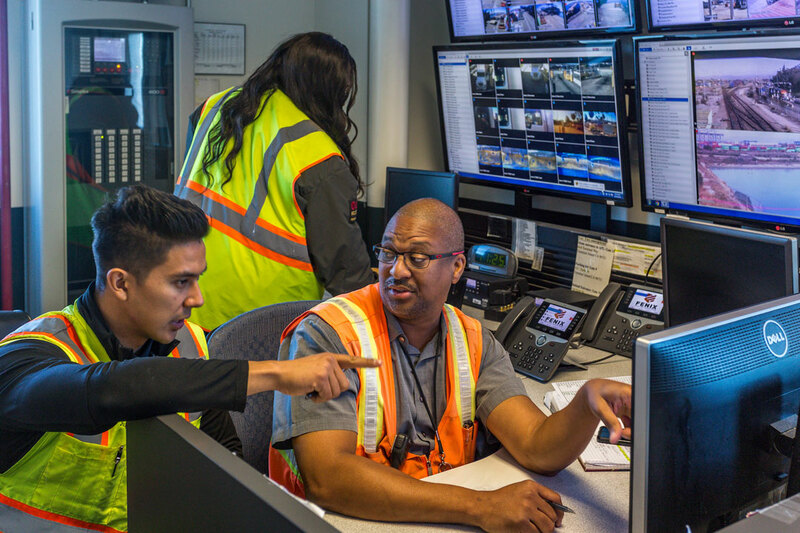 Since assuming responsibility on December 1, 2017, Fenix has made significant improvements in truck turn times and other performance metrics, and is investing in equipment upgrades and other systematic improvements. Fenix is building a reputation for top-tier innovation and execution. CMA CGM and APL continue to be major customers. In an age of substantial progress and change in the industry, we aim to differentiate by doing things a bit differently. Modernization extends beyond hardware and software; it’s a new way of thinking about our position in the marketplace, and how we go about serving the market and unlocking value. The best plan can be undermined by poor execution; we have the right team with the right knowledge and experience to implement effectively our business plan.